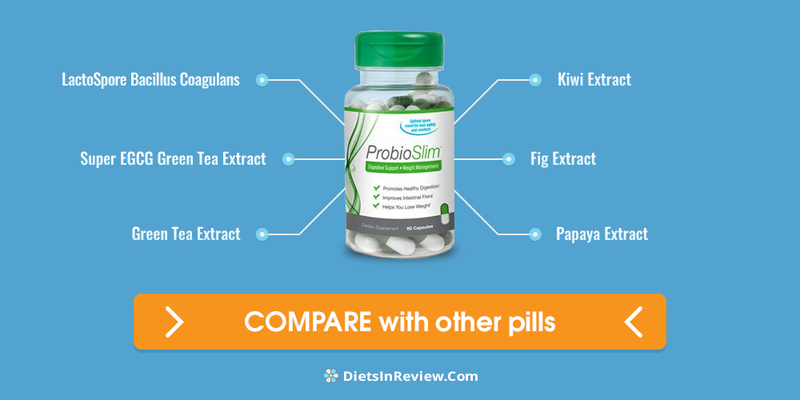 ProbioSlim Review (UPDATED 2019): Don't Buy Before You Read This! 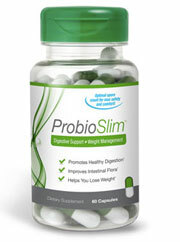 ProbioSlim is a weight loss pill made with probiotics for improving digestion, and to provide natural weight loss benefits. It claims to be a safe and effective way to improve health. It has caffeine and green tea meant to help oxidize fat, as well as to help reduce appetite and increase energy. It claims to be completely safe and side effect free, as well as better than any other probiotics supplement. This is because their probiotics are protected from being killed off by stomach acids. So they reach their destination without being destroyed. Are all these benefits truly possible? What kinds of effects are customers experiencing? You’ll see in this ProbioSlim review what this supplement truly has to offer. LactoSpore Bacillus Coagulans: A patented form of bacillus coagulans, a probiotic. It was made by the Sabinsa Corporation, as a way to produce lactic acid. Unlike other probiotics, it’s not heat sensitive, and it’s used to help bypass stomach acids that may cause it to be useless. There has been a lack of studies in humans, so determining possible side effects or even positive effects is not yet known. Super EGCG Green Tea Extract: One of the major antioxidants found in green tea. This ingredient is used to improve the immune system. Nausea, stomach discomfort, and vomiting. The FDA has also sent warning letters to people claiming this ingredient has anti-disease, or any other health benefits. According to them, there’s a lack of published evidence to show this effect is possible. Green Tea Extract: Common tea added due to its natural stimulant effects. It’s also known to contain antioxidants. Headaches, ringing in the ears, and pounding migraine headaches. Insomnia, restlessness, and difficulty concentrating. Rapid heart rate, cardiovascular damage, and heart palpitations. Tremors, cold sweats, and jitters. Feelings of paranoia, and mood swings. There have been documented cases of once healthy people experienced severe organ damage from this extract. It’s also unknown how much caffeine comes from this extract. This is important to determine how much would be safe to take. Still, there hasn’t been any proof that this ingredient would be beneficial for weight loss. Though this ingredient might improve digestion, there are no known weight loss benefits. The added fig and kiwi have similar actions to this ingredient. Most of the ingredients are added to help with digestion. Additives like papaya, fig, and kiwi extract are the main active ingredients that have an effect. Though they may have benefits for digestion, this isn’t effective for helping with weight loss. There’s also green tea extract, which studies show may only have a metabolism boosting effect due to its caffeine. Though in its concentrated form, it’s possible for it to promote serious liver problems. Cases have been reported of people using weight loss supplements with this ingredient, only to experience liver damage. Then there’s LactoSpore, which is lacking unbiased studies to show what kind of an effect it may have. 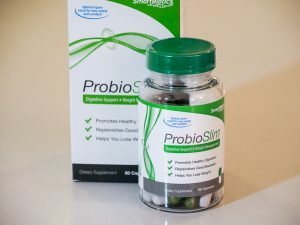 As you’ll see in the “Customer Opinions of ProbioSlim”, many customers have expressed concern due to side effects and lack of weight loss benefits. The only ingredient that may have a weight loss effect that’s proven is caffeine, though this isn’t enough for it to be a well-rounded weight loss supplement. Until more information is released about the probiotic LactoSpore, it’s unknown what kind of an effect it may have, if it has any. Since the company fails to provide their own proof, there’s not enough proof to suggest there would be weight loss. A 30-day supply sold from the manufacturer sells for $69.99. This averages to a daily price of $2.33. The green tea and caffeine can easily be substituted for cheaper, and the digestive support from the fruits added isn’t for weight loss. LactoSpore is also lacking any unbiased clinical studies to show it to be effective. There are not enough quality ingredients in this blend to help justify the price. The only truly proven weight loss ingredient is the caffeine, which may also produce unwanted side effects. The company fails to list how much caffeine is added in total, so it’s unknown how to properly dose for people who might be sensitive to this ingredient. This brand is highly pricy for what’s offered. Many of these ingredients can be substituted for cheaper alternatives, though it’s still not proven to be an effective weight loss solution. There were several complaints about how the company operates, and the lack of customer support. Many were placed on automatic billing programs, which charge each month without requiring consent. Some claim the company is operating a scam, and that they claim to offer returns, but that they keep charging each month. Customers were also concerned with the lack of customer support. Most of the reviews have to do with people who want to cancel, but instead keep getting sent new bottles at a high cost. Often in their Better Business Bureau page they send a standard response of “we take fraud reports very seriously”. Though customers follow up by saying the company did not help cancel their automatic billing. There are many allegations of the company operating a scam that automatically bills people each month. A total of 362 negative reviews have been listed on their Amazon.com page. There were many complaints about both a lack of any sort of weight loss benefit, and a high risk for side effects. Some have experienced nausea, headaches, stomach problems, frequent bathroom usage, and diarrhea. There were also many concerned users who much like the reviews on their Better Business Bureau page, haven’t been able to stop repeat shipments. There are far too many dissatisfied customers who feel as tough they have been charged without their permission. Conclusion – Does ProbioSlim Work? Before making a final decision on ProbioSlim, it’s important to examine how customers review it. Hundreds of people were disappointed with the company due to their auto billing practices, and these same people saw no weight loss benefit at all. This is likely due to the cheap ingredients, of which some may produce unwanted side effects. Many people suffered from symptoms such as headaches, nausea, and stomach problems. Though probiotics may have an improvement on digestion, there’s still a lack of evidence on its effects on weight loss. 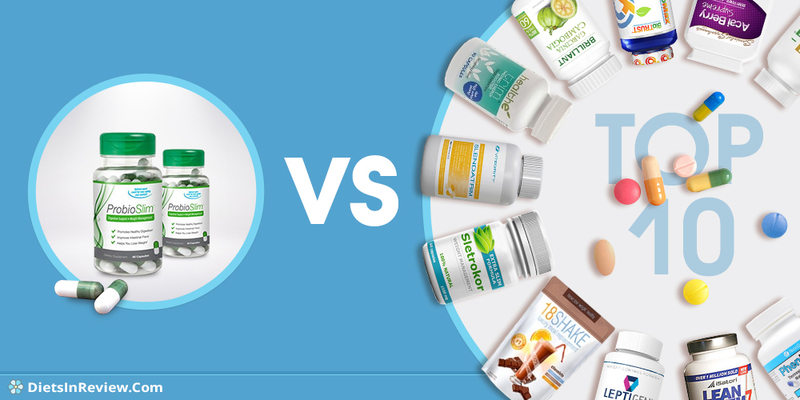 Better solutions are available from companies that are trusted, and who sell customer approved weight loss supplements. 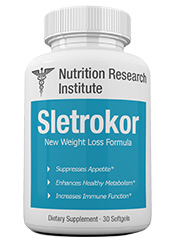 The very best 2019 diet pill is out now, and it goes by the name of Sletrokor. This supplement has only natural clinically studied ingredients, no stimulants, and best of all customers have left glowing testimonials. People have lost a lot of weight off this supplement, without a fear of side effects. You can read about all these benefits on the companies official website. 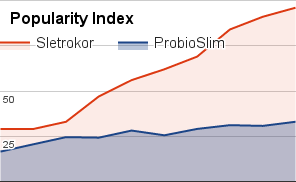 Sletrokor is also backed by a 30-day risk free guarantee. So you can use this supplement and see how it affects you. The supplement did not work as advertized. I experienced some jitters, so much so that had to discontinue usage. Good article.I dislike this product their shake is cheesy! My friend James had a bad response to this poor pill with upset digestive system and had a chellenge getting a refund. Father aware me do not try the Garcinia Cambogia.